Assicurazioni Generali had a dual managerial structure, in Trieste and Venice, with distinct responsibilities, laid down in statutes and bylaws. The Italian agencies, from the central agency to all the others, depended on the Venetian Head Office, which was also responsible for dealing with general affairs, reinsurance, advertising, stipulation of agreements, relations with governmental authorities, and buying and selling real estate, subject to the prerogatives of the smaller Board of Venice over Italian real estate within a given figure. The key figure between Management and administration was the Secretary General – from 1909, the director-in-charge –, a member of the Management and the Board of Directors and head of what was then called the general secretariat, an officewith very broad functions, which would subsequently give rise to important separate departments, such as the personnel department and foreign agencies secretariat, then foreign operations department, banks office of the accounting department and press office. The Secretary General was an important figure and in the 19th century with, among others, the position of chairman vacant from 1835 to 1909, was held by men who had a decisive influence on the Company’s industrial policy: Masino Levi, with a long mandate, from 1835 to 1877, and Marco Besso, from 1877 to 1885. The secretary represented the Company in subsidiaries (for example, Anonime in Milan, Sparcassa in Budapest, the Romanian Generala, Concorde in Paris) and sector bodies (Comité des Assureurs Maritimes in Paris), constituted the natural connecting link between Management and administration, made proposals, presented studies and reports, combining unquestioned technical expertise with the necessary mediation skills within the Council of Directors itself. The name of Marco Besso is ideally linked to the correspondence that is kept of the central secretariat; in fact, the series starts in all its partitions precisely in 1878 and constitutes an almost complete unique corpus until the end of 1904. The mandates of Marco and Giuseppe Besso – secretary general for a decade, until 1895, and previously deputy secretary general of his brother Marco – and Edmondo Richetti, who was secretary general almost until retirement in 1913, are documented. Deputy secretaries general were Carlo Levi from 1885, Edmondo Richetti from 1890, then Vitale Laudi until 1900, followed by Gioberti Luzzati. Marco Besso was a key figure for Generali for over fifty years because of his innovative vision in the technical and financial fields. He joined the Company at the age of 20 in 1863, and rapidly moved up the hierarchy until reaching executive positions: agent, inspector, secretary general, deputy director, director and finally chairman – the first chairman of the 20th century, after the long vacancy of the position following the resignation of Ritter de Záhony in 1835 – until his death in 1920. Besso’s management marked a profound turning point in the company’s industrial policy, with development – in Italy and abroad – based on the founding of subsidiaries, replacing the traditional foreign agencies, starting with Erste Allgemeine Unfall-Versicherungs-Gesellschaft, a Viennese company specialised in the accident insurance sector, which operated since 1882. 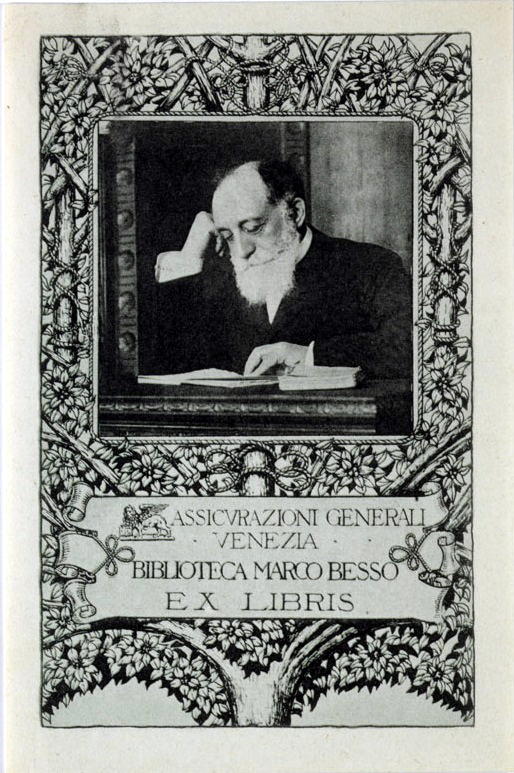 A significant figure on the Italian financial landscape, scholar and bibliophile, Besso also insisted on strong investment by Generali in the real estate field as a vehicle of identity for the Company. Edmondo Richetti is a less well-known figure, but certainly one to be revalued. An example of the complexity of Trieste in the Habsburg era, he belonged to a Jewish Triestine family which performed important functions in city life and in the administration of Assicurazioni Generali for at least three generations. In the first half of the 19th century, long-time insurer Eugenio Richetti had also been a generali agent in Lviv, Galicia, where one of his three sons, Egidio, was born in 1855. Egidio was in turn employed by the Company until 1895 at the Rijeka agency and then, until retirement in 1921, at the Prague agency. The other two sons, Ettore and Edmondo, played prominent roles in the Central Head Office: Ettore, a lawyer, was a Board member from 1896 until 1915 when he became director; Edmondo served as secretary for almost two decades. Edmondo’s son Francesco, and Egidio’s son, who was named like his uncle Edmondo, also worked for the Company. Edmondo Richetti was an exponent of the Triestine economic aristocracy that scholar Anna Millo called “elite of power” (L’élite del potere a Trieste. Una biografia collettiva 1891-1938 [The elite of power in Trieste. A collective biography 1891-1938], Milan, Franco Angeli, 1989); he was the head of the Jewish community, immediately after his brother Ettore, and one of the few bourgeoisie who obtained the noble title of ‘cavaliere’, becoming Richetti de Terralba in 1904. An independent entrepreneur – among others, founder of the first Triestine car manufacturer, Alba – he was president of the local Chamber of Commerce, where he represented the Company. His story at Assicurazioni Generali began in 1883, at the age of twenty-seven, after an initial experience with Fonciére in Budapest. His first assignments are linked to Carlo Levi: Richetti was department head at Erste Allgemeine Unfall-Versicherungs-Gesellschaft when Levi was director. 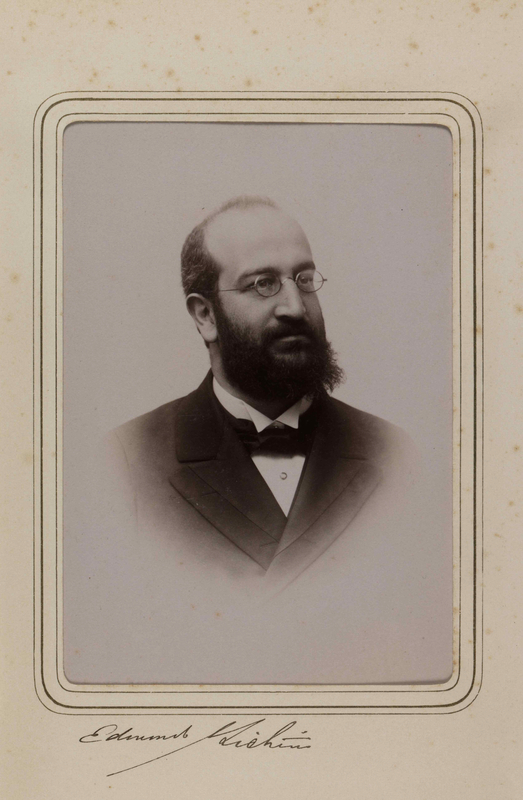 In 1884, when Levi resigned, it was Richetti who took his position and the same happened in 1890 when Levi left the position of deputy secretary to the Central Head Office, assisting secretary Giuseppe Besso; he then became secretary general in 1895 when Besso was promoted to director. Richetti was secretary general until 1909 and director-in-charge – when, with the statutory reforms reinstating the office of chairman, the name of this function was changed – until 1913, shortly before his death in 1914. In the last months of his service, when he submitted his resignation for health reasons, the Board decided to elevate him to director. Among Richetti’s latest documents, in his personnel file, there is a very interesting document: a printed invitation to attend the founding session of the “Europäischer Staatenbund” (“Union of European States”, transl.) association promoted by him, in Vienna in May 1914. On the very eve of the outbreak of the First World War, Richetti invited all citizens of Europe to join the Europäischer Staatenbund, assuming that all European peoples, without distinction of origin or class, gender or religion, wanted peace and union among the various European states to dispel the spectre of war. The brochure is almost prophetic and incredibly modern because it seems to anticipate by half a century the spirit of the European Community, in its highest ideal scope, as an antidote to war. It is a European union that starts from below, because it is a direct representation of citizens, not of states, and appears as a means to impose a drastic change of course of economic line on European governments, in a peaceful manner, without the danger of wars or anarchy. It is a complex document, which is many things together: it is full of idealism, albeit full of numbers and statistics; it declares opposition to revolutions and wars, but in its pacifism is revolutionary to all effects. Find out more in R. SPADA, “My Humble Self”. The Personnel File of Marco Besso and A. MILLO, Marco Besso, in Generali in History. Tales from the Archives. 19th Century, Venice, Marsilio, 2017, pp. 184-189; 190-195; on Edmondo Richetti in R. SPADA, Long Live the Secretaries. Edmondo Richetti, the Pacifist and A. MILLO, Edmondo Richetti, Generali in History. Tales from the Archives. 20th Century, Venice, Marsilio, 2017, pp. 68-75, 76-79.